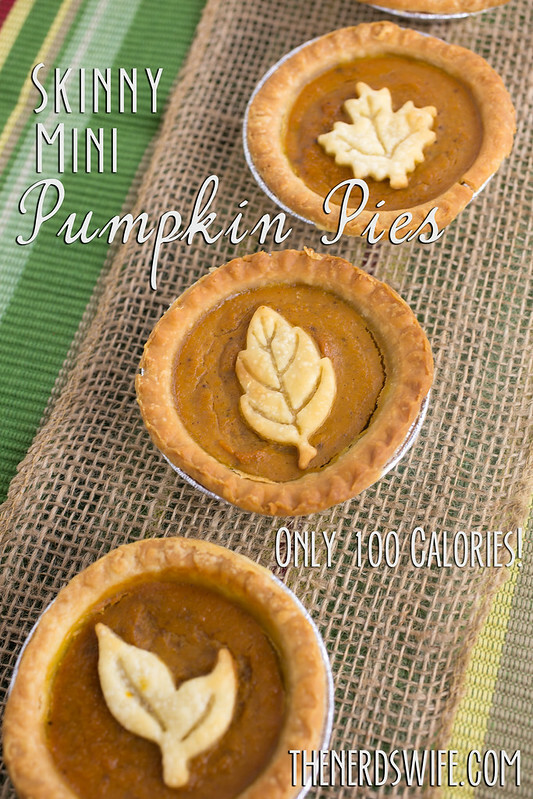 Skinny Mini Pumpkin Pies -- Just 100 Calories! 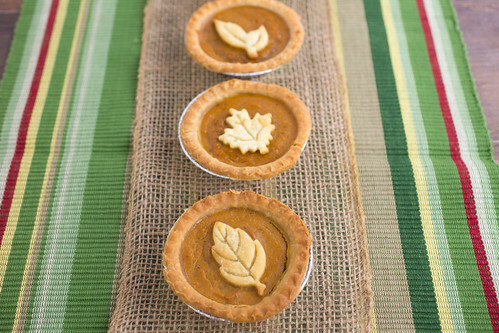 Skinny Mini Pumpkin Pies — Just 100 Calories! There’s nothing better than pumpkin pie with Thanksgiving dinner, except when that decadent dessert is low-calorie. These Skinny Mini Pumpkin Pies are delicious and at just 100 calories each, you won’t feel guilty when you indulge! 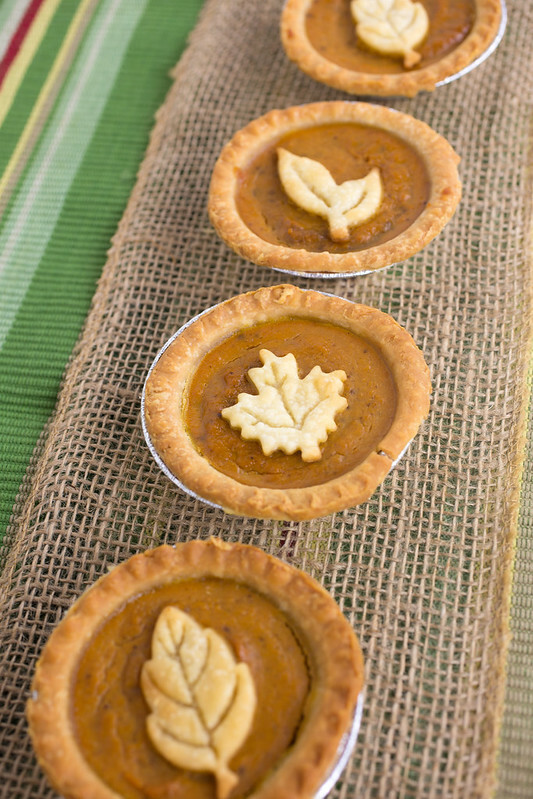 Since these Skinny Mini Pumpkin Pies are made as individual servings, they make a fun addition to your holiday table. Use them as decorations around the table and let everyone dig in once dinner is through. 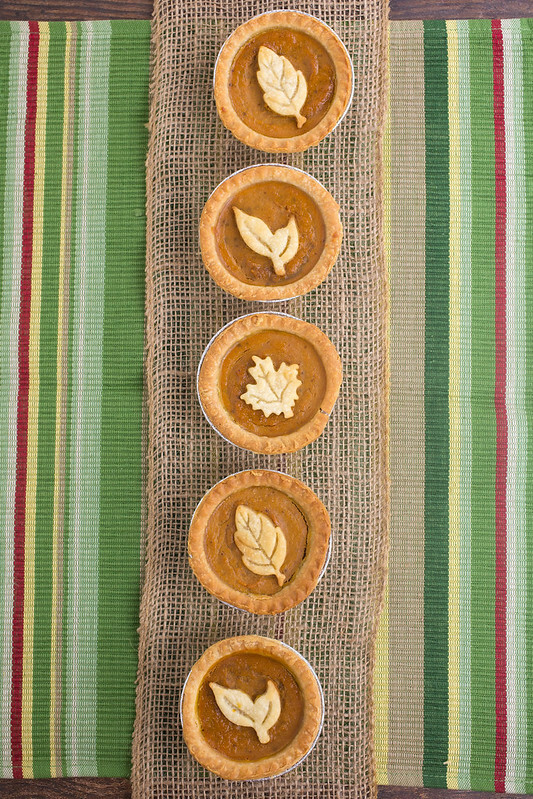 If you’re going to add decorations to the tops of the pies (like the leaves in my photos), go ahead and cut the shapes from your extra pie crust. Place on a prepared baking sheet and bake for 3 minutes, until the pieces of crust start to look golden brown. Remove from oven and set aside to cool. In the bowl of a stand mixer, combine the pumpkin, salt, pumpkin pie spice, Sweet’N Low, sugar, eggs, and milk until mixed well. Place the pastry shells on a baking sheet and add 3 Tbsp of the pumpkin mixture to each shell. Bake for 10 minutes until the crusts start to brown, then remove from the oven. Reduce the oven temperature to 325 degrees F. Add the baked pie crust decorations to the tops of each pie and cover the individual pies with foil. Return to the oven and bake for 45-55 minutes.